All HIGHLAND homes currently listed for sale in San Antonio as of 04/26/2019 are shown below. You can change the search criteria at any time by pressing the 'Change Search' button below. 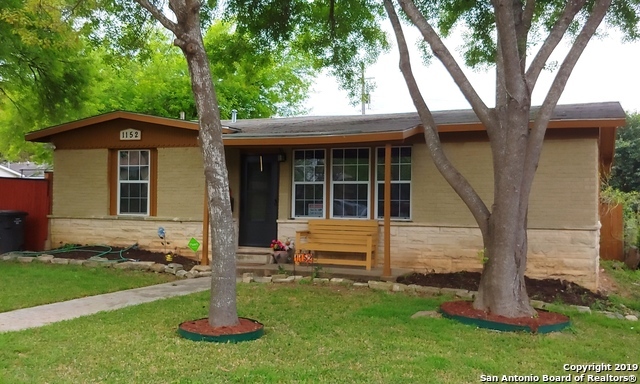 "This adorable home is just minutes from downtown San Antonio nestled in The Highland Park neighborhood. Home features 2BR 2BA with tons of character*wood burning fireplace* new laminate floors*great size kitchen*breakfast bar with lots of counter space and new appliances. Great size bedrooms with upgraded bath. All new fixtures, sinks and freshly painted. New wooden deck out back with rear parking space." "Don't miss out on this wonderfully updated home in the Highland Park area. No HOA! The open floor plan is bright and spacious, completely renovated inside and out. Exterior is 4 sides brick, 2 car detached garage or workshop area and an extra parking pad. Covered outdoor 24x10 patio-great for BBQ. Gorgeous hardwood floors and ceramic! Updates include roof, windows, garage doors, and AC. Corner lot and gorgeous Saint Augustine grass! Property is listed AS IS." "2 bed 1 bath house on a huge lot"